A quick note to your US representative could help protect big cats nationwide. I am writing to respectfully encourage you to cosponsor H.R. 1380 to protect both big cats and the public. Big cats face countless threats both in the wild and in captivity. 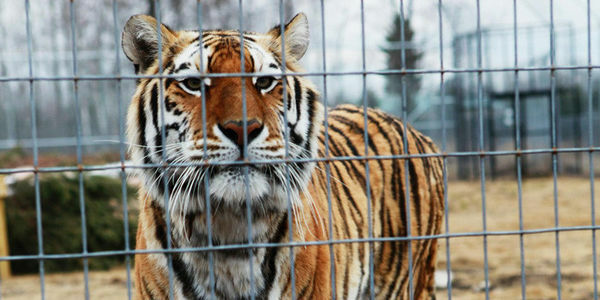 Captive, privately-owned big cats are regularly subjected to mistreatment and miserable living conditions, while those who exploit them misrepresent these activities as "conservation." Despite these claims, roadside captive big cat displays, cub handling exhibits, and "pet" big cat breeding do nothing to benefit these animals' wild counterparts, and could in fact do just the opposite. Private ownership of big cats is also a serious public safety issue. There have been hundreds of dangerous incidents involving captive big cats in the U.S., including maulings, escapes, and cases in which captive big cats have killed people. The Big Cat Public Safety Act (H.R. 1380), if enacted, will help to ensure that these tragedies do not continue. As a proponent of big cat protection and conservation, I urge you to support H.R. 1380 to safeguard wild animals and communities across the U.S.